My Attorney Just Retired – What Now? Over your lifetime, you’ve established lasting relationships with professionals like dentists, doctors, and attorneys. It’s hard to think that these professionals who have always been available to help us may someday leave their firm or practice. They may retire, move to a new state or pass away. So if your estate planning attorney is no longer available, it opens up a lot of questions. Are they obligated to pass your records to someone else in the firm? If they practice alone, will your files be passed to another lawyer? What are their obligations to you as a client? It’s important to understand what you’re entitled to if your estate planning attorney is no longer practicing. You should be notified, and due process requires that the attorney will return any property they have in their possession which belongs to you, including your files. Remember, an attorney is obligated to honor confidentiality expectations, so to simply forward your information to another attorney is unethical. That is an important decision only you should make. However, you might want your current attorney to recommend another professional they trust. Just as you conducted due diligence when you first hired your current attorney, you should practice that same due diligence, even if an attorney has been recommended by current representation. You’ll want to consider experience, fees, commitment to practice area and reviews from trusted sources. 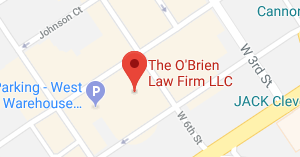 Are they a member of reputable organizations, such as the American Academy of Estate Planning Attorneys? Remember, these memberships require ongoing continuing education, which equates to stronger representation for clients. Once you’re satisfied with what you’ve discovered, you’ll want to schedule a consultation with the new attorney. Don’t discount the importance of comfort around them; it matters. If you’re uncomfortable disclosing information or if you are unsure of how well you “mesh”, then trust your instinct. By the same token, be careful with comparing the relationship you had with your previous attorney. Odds are, it was built over time and based on a number of factors that come only with experience. Now that you’re meeting with the potential new attorney, ask questions! Get to know one another so they can better understand your needs. Is there anything in your file that is perhaps outdated and needs to be revised? Are there any potential solutions which can reduce your tax burden? Remember, this is your life and your future – don’t be afraid to ask the tough questions. You want to be sure you’re both on the same page. You’ve worked hard to build your assets. Show that same commitment and wisdom as you go about the business of selecting new representation. The easier the transition, the less stressful it will be.